The Road to GES Heartland event, March 18-19, brought together around 600 entrepreneurs, investors, and public and private sector leaders from across the USA’s Heartland who are building innovative solutions in agriculture, health, and connectivity. 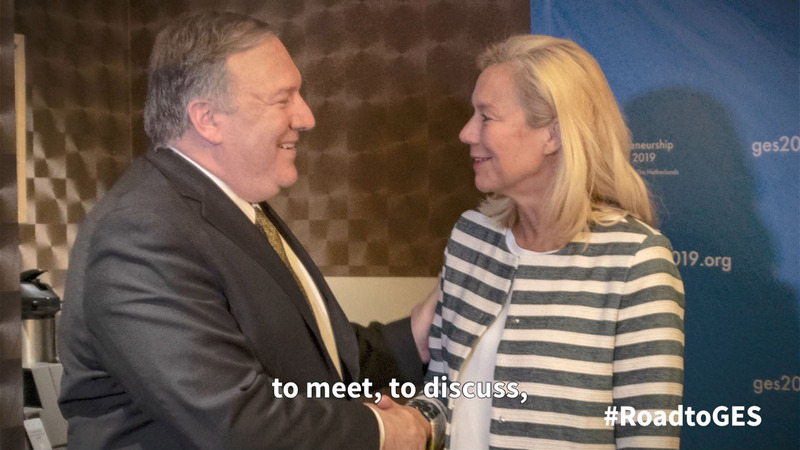 US Secretary of State Pompeo delivered a keynote address, explaining the importance of economic diplomacy to advancing entrepreneurship and economic growth, and previewing his participation in the Global Entrepreneurship Summit in The Hague, the Netherlands, June 4-5. The Dutch Minister for Foreign Trade and Development Cooperation, Sigrid Kaag, spoke at the Road to GES Heartland event as well. Acting Under Secretary for Economic Growth, Energy, and the Environment Manisha Singh chaired a panel on the critical importance of investing in women entrepreneurs, who achieve a higher success rate when funded at the same rate as men. Administrator of the Small Business Administration (SBA) Linda McMahon delivered keynote remarks on Day Two, emphasizing how SBA shapes a strong American economy by supporting rural and urban businesses and making it easier to do business abroad.